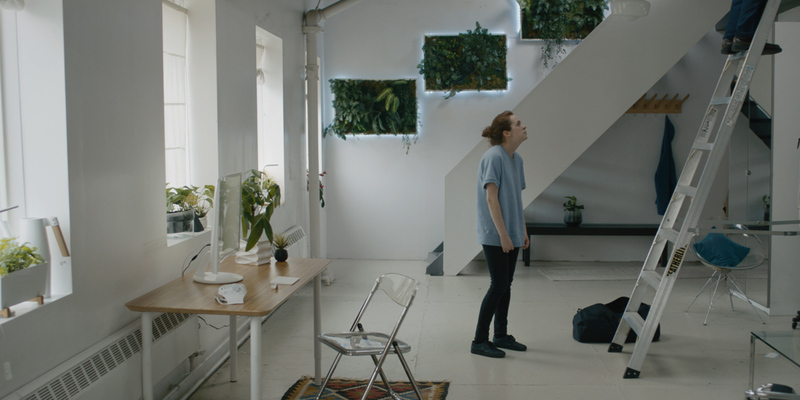 The latest short film directed by Zack Russell and starring Kayla Lorette – who previously collaborated on the fascinating She Stoops to Conquer which played at the festival in 2015 – 7A takes place in a single location and involves a young woman (Lorette) who is alone in her apartment with a camera set up when a repair man (Tom Rooney) comes to her door, and unsettling things start to happen. There is no real explanation for anything that transpires in 7A, and that’s part of what gives the short film such a cool and creepy vibe, which is sustained throughout the brief ten minute running time. Built around an intriguing premise that has been executed in a stylish way, the short boasts sparsely effective cinematography and builds towards a pretty nifty twist at the end. I’m curious to see what Russell and Lorette do next. The film plays as part of the Short Cuts Programme 06 lineup.